Every smartphone has a camera, but not all of them take the time to emulate the feel, performance, and looks of an ordinary digital camera. High-end smartphones, for example, offer exceptional quality that makes them perfect for being point & shoot replacements. However, unlike them, they don’t have the same feel in the hand. Generally speaking, we normally have to hold them around the edges and on the tips of our fingers – so they’re just not as comfortable. Apple’s iPhone has always been a top contender when it comes to camera quality, so it doesn’t surprise us that one accessories company, BiteMyApple, is turning the beloved thing into a point-and-shoot camera of some sorts. 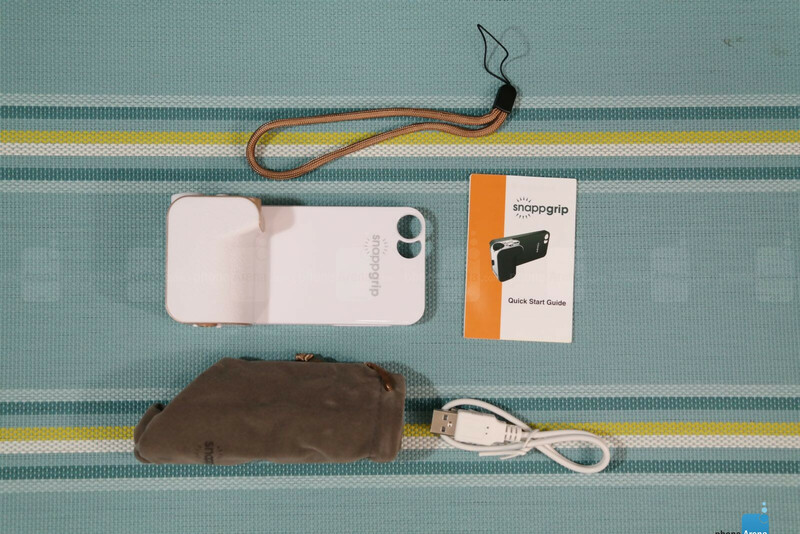 Looking into the Snappgrip, it delivers that camera-like feel to the iPhone 5/5S – where it features some handy tools that can attract serious enthusiasts. The grip is ideal for one-handed operation. Consisting of two main components, a traditional looking snap-on case and a grip attachment, the Snappgrip does a decent job in giving us that camera-like feel in the hand. Sure, its design is rather boxy and straightforward looking, but it’s the in-the-hand feel that’s most profound here. 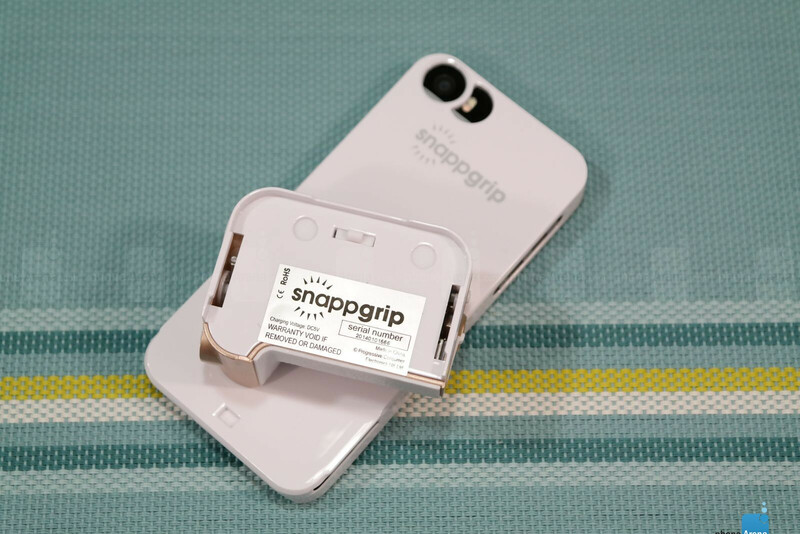 Rather than holding the phone around its edges with two hands, the Snappgrip enables us to grasp the entire thing one-handed. Naturally, our middle and ring fingers wrap around the plastic textured grip – while our index finger appropriately rests on top of the two-level shutter key. Graceful isn’t what we’d describe its design, seeing that it can only do so much to try and mask the iPhone’s overall “flat” shape. Even though we’re not inclined to shove the entire thing into our pocket, especially with the massive bulge we’d see in our pocket due to the grip, it’s comforting to know that we can remove the grip portion of the unit, and just rely on the snap-on case. The case itself is as ordinary and plain as it can get. Despite the straightforward approach, all of the iPhone’s ports and buttons are easily accessible with the case on – including the 3.5mm headset jack. 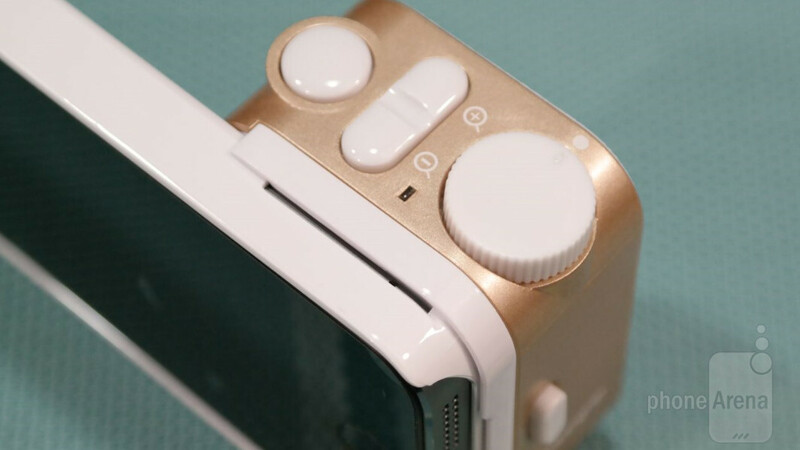 That’s because the top and bottom sides of the case have cutouts to make the various ports and buttons on them exposed, so there’s no need for a special adapter to get access to the headphone jack. Additionally, it’s worth mentioning that a cutout around the camera lens allows the case to accommodate some of the optional lens attachments that BiteMyApple sells. As for the grip component of the package, it can be dislodged from the case by simply pressing the large button on its side. Around the top, though, it features a mode dial, digital zoom buttons, and a two-level shutter key. Rounding things out, there’s a handy tripod mount, microUSB port, and on/off switch on the bottom on the grip. isn't dual-flash a bit kind of covered with the case/cover from left? Xperia Z2. Need I say more? Then don't read them. Also, why would you tell him to buy a DSLR when he is happy with the 1020's performance and camera grip accessory? s5 far better than z2 in all web sites. are u dreamer ? in here who own a mobile phone, it's the best in market for him/her. no one is not fair including editors. I don't say far better for s5 but still slightly better over z2. If u find z2 better then that's completely fine with me. We have right for personal preference right?.